Standard room = $150 per couple/twin share a night (off peak). This includes breakfast. Please visit our facilities page for details of extras available. 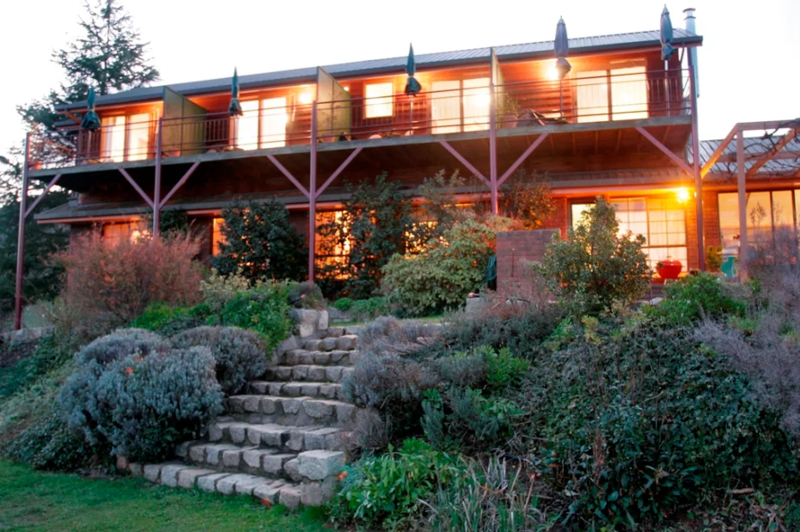 ​Rosewhite House provides guests with quality bed and breakfast accommodation in the heart of North East Victoria. Located in the Ovens Valley, Rosewhite House is just a short drive from the vibrant townships of Bright and Myrtleford, historic Beechworth, and just a stone’s throw from the iconic King Valley Gourmet region. It is not hard to shrug off life's pressures whilst sitting back on your private balcony enjoying a glass of wine and a Milawa cheese platter whilst savouring the stunning "million dollar" Alpine view! The options are endless - If you are a wine lover, then you’ll love visiting the wineries in the region. Bring your push bike and take a relaxed ride on the Murray to the Mountains rail trail. If walking is more your style, enjoy one of the many bush walks and discover the breath taking scenery and waterfalls. Or simply enjoy the culinary delights that are available from the numerous highly sought after chef hat restaurants. Why not give a little of each a try! During the winter months, we are about an hour's drive away from Falls Creek, Mount Buffalo and Mount Hotham snowfields. We are only too happy to book a table for you at one of the many local restaurants & cafes. You may however, prefer a quiet night together, so you are welcome to use the BBQ on your own patio or our guest kitchen is fully equipped allowing you to prepare your own meal/s.